The Foundation researches and educates on women’s issues to acknowledge barriers and identify opportunities. 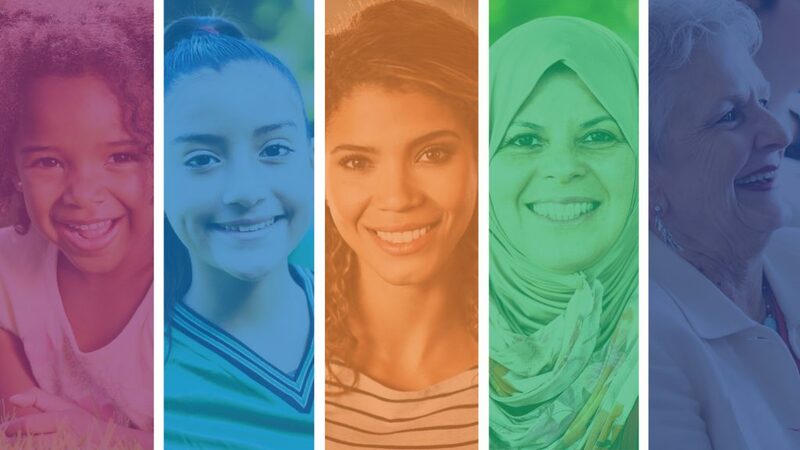 Commissioned by the WNY Women’s Foundation and created by UB Regional Institute, the 2010 Pathways to Progress Report examined the issues facing women and girls in our community. The report started an ongoing region-wide dialogue about the best ways to support and elevate women and girls. Pathways to Progress, Vol. 2, a report created by the WNY Women’s Foundation, keeps us moving forward. The new report expands the dialogue with updated data that explore the current status of women and girls in WNY. By diving into the barriers women face throughout their lifespans, the report highlights opportunities and success stories. This educational tool is available to the community thanks to the generous support of the James H. Cummings Foundation, Community Foundation for Greater Buffalo, Health Foundation of Western & Central NY, John R. Oishei Foundation, Joy Family Foundation, Patrick P. Lee Foundation, SEFCU, and WNY Foundation. Download Pathways to Progress, Vol. 2. Read it, digest, and find the connections that you can make to the women and girls in your family, community, and work. The full reference list for the report is available for download and many of the reports cited are included in this data hub. In our effort to educate the community and raise awareness, the Foundation has curated research and organized it by topic area. The research below can be filtered by topic with citations and links to original researchers. Alternately, it can be sorted by date of publication. Contact us if your organization has a report to include. Partnership in Springfield, MA with the goal to elevate leadership of local young women. "Our comprehensive research review shows that children who are fed gender stereotypes may internalize those roles, shaping their behavior for years to come and that girls aren’t alone in their struggles with restrictive identity norms." Women Give 2016 investigates how giving by young adults has changed over four decades, according to gender. It also explores how women’s role in the family and in decision-making about giving has changed over time and how this impacts giving. The purpose of this literature review is to summarize the existing academic research on women, gender, and philanthropy and create a comprehensive picture of what we know about women’s giving and gender differences in giving today. Different financial goals and attitudes. The Advancement of Women and Girls” includes a broad range of articles that highlight the tremendous work both individuals and institutions are engaged in to empower women and girls all over the world. The current landscape of philanthropy focused on women and girls and document the specific role played by women’s funds. Why are women still not running for office?